This 8' wide x 6' deep platform is meant only for use with the included inset, which is an extension of the platform that fits inside a power rack. 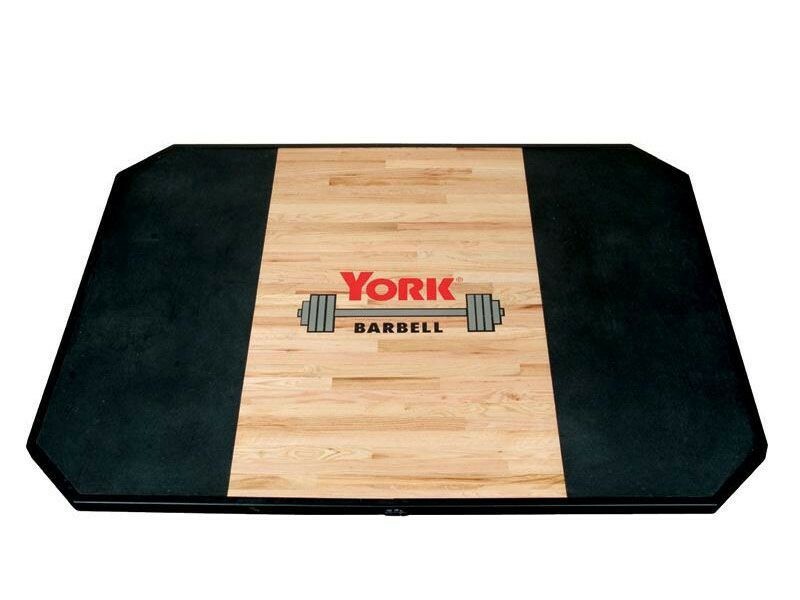 This platform is made for doing cleans, snatches and deadlifts. 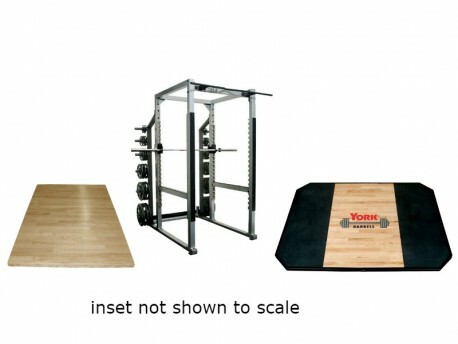 Using a high quality lifting platform means that users are lifting on a perfectly flat and safe surface. The increase in confidence that provides means that it's only a matter of lifting the weight that's holding them back. 12-Gauge Steel Frame - This surrounds the sides of the platform to keep the edges from being damaged. The rear portion of the platform where the inset fits is not framed. 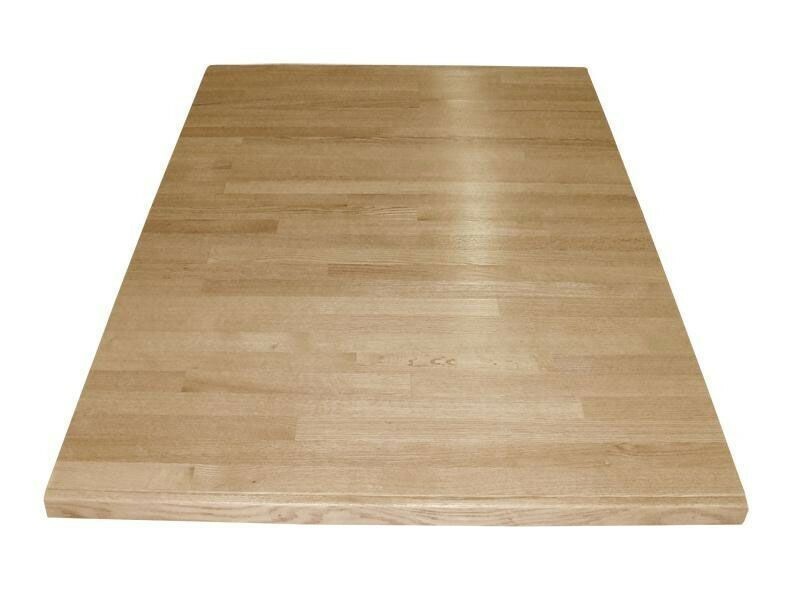 A wood inset is included to extend the wood of the platform to fit perfectly into the rack. The inset is the piece that extends the platform to fit inside your York STS rack. The platform's steel frame wraps around the entire main platform except where the inset butts against it. All platforms are made on demand and have an estimated 2 week lead time. Custom logos add one additional week. 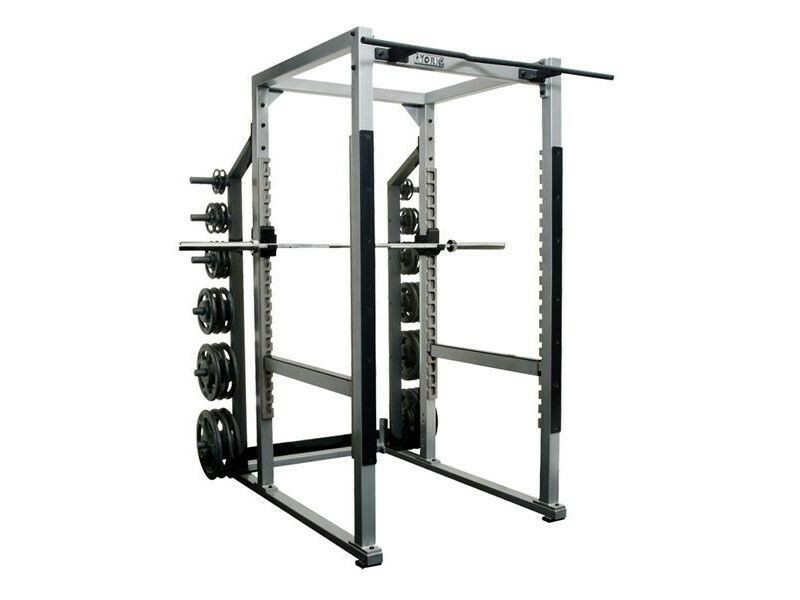 Your rack and platform will ship all at once when the platform is ready.